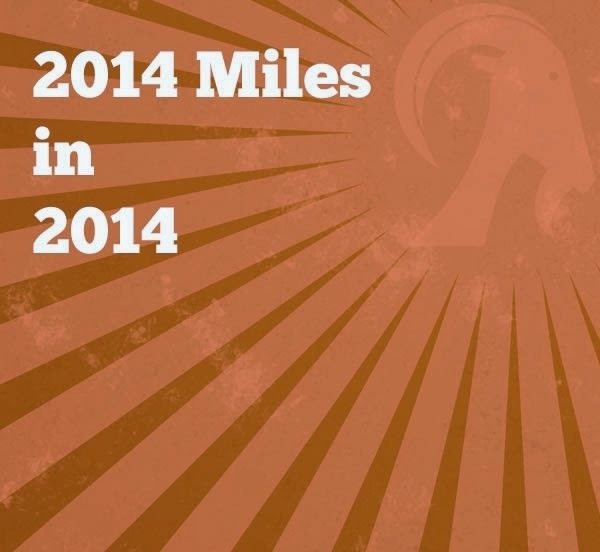 2014 miles in 2014 - March update! This year I have set myself two goals to aim for! One of my goals for this year is to try and run 1057 miles for my running buddy Haddie in Hawaii and my second is to cover 2014 miles in 2014 in any self-propelled way! Only 1547.14 miles to go! Only 659.32 miles to go! 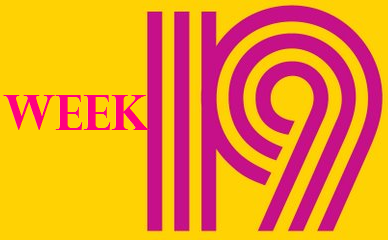 Well it's the start of week 20, THE last week in my 20 week marathon training plan! I really cannot believe that 20 weeks have gone by and I have completed all the training I set out to do! Where did the time go? The 6th April 2014 seemed such a long way off when I started training on the 18th November 2013! With 6 days to go I am feeling particularly nervous! I just need to get through til Sunday without sustaining an injury or getting some ailment! There is loads of nasty bugs and germs floating around at school at the moment which is a little worrying and my husband has very inconsiderately gone and got a cold and a cough so I am going be keeping away from him this week that's for sure! When I woke up slightly snuffly this morning he was so concerned that I might get a full blown cold and then blame him (which I would do!) he went out to Asda and bought me First Defence! If I come down with anything now I won't be a happy runner! Tonight is usually my Tri Club swimming night but I decided to have the week off in the name of tapering! It is usually a very full on session and I don't want to exhaust my body unnecessarily! I am going to need all the strength I can save this week! Tonight's run on the training plan was a 30 minute easy run. The weather has been lovely all day so I set off dressed in just three quarter pants and a T Shirt. No sooner had I set off into the warm clear evening and the dark clouds descended and light drizzle set in! Luckily it wasn't cold rain so I was still fairly comfortably dressed! I set off too fast for the "slow easy run" prescribed and when I realised I had done an 8:48 minute mile for the first mile I consciously tried to slow myself down! I wanted to stick to the plan and reminded myself about how my body is getting stronger during this week - apparently! My second mile was a 9:12 minute mile and the third was a even slower 9:31 minute mile! To be honest I found it really easy to slow down as I felt unfit and sluggish with very little energy! Even my right Achilles decided to have a little grumble which sent fear through me! I can't say I enjoyed the run but ran for 30 minutes 59 seconds and covered 3.36 miles at an average 9:12 minute mile pace. I just want race day to be here! These pre-race jitters are not doing me any good at all! I'm starting to stress about everything! I am constantly googling the weather, unfortunately it currently forecasts rain. Then there's the worry about what to wear but of course this is weather dependent so I don't feel as if I can make this decision just yet! My body seems to have been taken over by numerous aches and pains and my head is telling me I can't do this! I CAN DO THIS AND I WILL DO IT! One week today it will all be over! 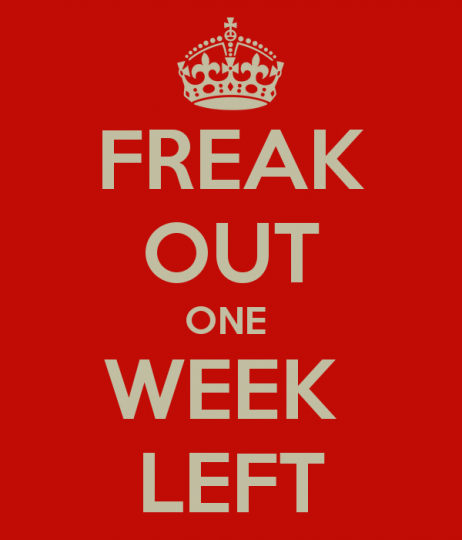 One week today I will be either ecstatic or down in the dumps! 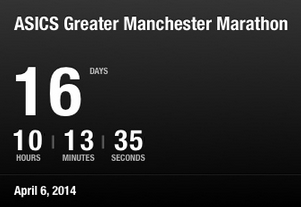 One week today I will have hopefully completed my second marathon! I am feeling ever so slightly freaked at the thought! Now all the hard work has been done and I am tapering the nerves have really taken over especially after this weekend of total over-indulgence and absolutely no exercise! I have had a great weekend up in Edinburgh with my husband and a couple of friends. Our prime reason for going was to see West Side story but in the mix we ate and drank to excess! Now it's back to reality! Back to trying to re-hydrate my body and detox! I think I feel more nervous for this my second marathon than I did for my first! I had no expectation for my first - other than to finish, whereas this time I am desperate for a PB which is putting huge pressure on myself! I am feeling tired, unfit, unhealthy, anxious, stressed with a little bit of excitement thrown in just to send my emotions completely haywire! My body seems to have developed lots of little aches and pains and I am beginning to doubt that I can run 6.2 miles never mind 26.2! In reality I know I have trained as hard as I could have done, done all my long runs and followed the 20 week training plan closely and stayed injury free (touch wood!) so why shouldn't I reap the rewards next week! Time to get my head in the right place! 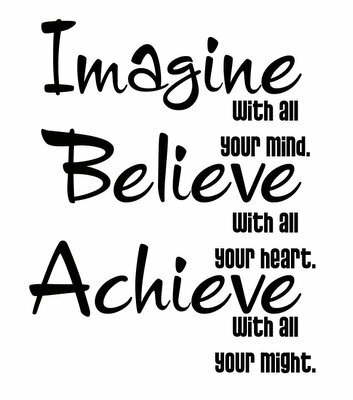 Time to use mental imagery! Today has been another wet and miserable one and I had a 9 miler to do! Not long after I got in from work the rain subsided and I decided to take this window of opportunity to run! With a route in my head off I set into the cold and wind! I was feeling nervous about getting injured! With going away this weekend I have had to cram all my runs into a short space so I decided just to run slowly and not risk anything! All was going well until at around 4 miles the sky went incredibly dark and I knew I was in for a soaking! I wasn't wrong, at around the 5 mile mark the heavens opened and it didn't just trickle down it came down at full force drenching me in seconds! With the wind and the cold it wasn't a pleasant experience! Luckily I was already on my way back or I might have cut the run short! I really am fed up of getting wet! As well as the rain, wind and the cold my stomach decided to get in on the act and I got severe stomach cramps with my bowel threatening total evacuation! I clenched my buttocks hoping to keep it in place until I either passed a toilet or got home. It was a very uncomfortable 2 miles! Luckily I made it home - just! I was straight through the door and into the toilet without any pleasantries exchanged with my family! I can't work out what it is I eat on the days I get "runner's trots"
Some days I have no trouble and then for no apparent reason I suffer! Here's hoping it doesn't flare up on race day! Despite the rain, wind, cold and stomach pain I managed 9.55 miles at an average 9.19 minute mile pace. A little slower than marathon pace but considering I was running on tired legs after 4 consecutive days of running, the weather and my stomach I don't think its too bad! This week has been a little crazy running wise! I am going away tomorrow for the weekend BUT I have still managed to fit in all my runs for the week already! Probably not the best thing to do but I have seemed to have got away with it! On Monday I did 4.2 miles, Tuesday 6.14 miles, Wednesday 6.31 miles and tonight 9.55 miles so I am now more than ready for the rest! It is strange that these 4 runs all add up to a total of 26.2 miles! The same total I will be running all in one go in the Manchester Marathon a week on Sunday - YIKES, such a scary thought! That's my last "long" run on the training plan and my last run of week 19! Here's to a little bit of recovery time and a full-on fun weekend in Edinburgh before the final week begins!!! Tonight I didn't mess around when I got home! As soon as I had walked the dog I got changed into my running stuff and set off! Thankfully it wasn't raining but it was another windy one! My plan was to do 6 miles but I didn't really have a route in mind so I just ran where my legs took me! I am a dog owner and a dog lover but I feel really strongly that if people have badly behaved dogs then they should be kept on a lead and not allowed to roam free! Tonight whilst running along a cycle and pedestrian track I was barked at, followed and jumped up by a couple of dogs in two separate incidents. Both times the owners laughed and said they were just playing! Err excuse me, I don't want to play and I DON'T see it as playing! Its very intimidating when you don't know how a dog is going to react - especially when they are fairly large! Anyhow, I managed 6.31 miles at an average pace of 8:55 minute miles. My fastest mile was @ a 8:53 minute mile pace so my pace was fairly consistent! I dare say it would have been faster without bloody dogs stopping me in my tracks! After a shower and a short recovery period I went to Yoga! I really enjoyed it and I genuinely feel like it does my running legs the world of good but tonight they were doing headstands!! This turned out to be a total no-no for me! There was 3 different variations an "basic easy", "intermediate" and then the full Monty of a proper head stand! I have decided my balance isn't good enough or my head flat enough as I couldn't even do the basic easy one! I was the only one in the whole class who couldn't do any and there were several smart arse's who could do the full thing and looked rock solid too! I got told to practice at home ... I think that's one for after the marathon! I don't want to sustain a crocked neck or back at this stage in the game! 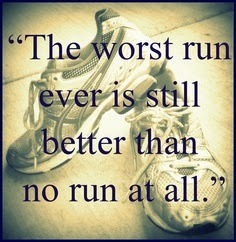 One more run tomorrow then I get to rest until Monday and have a fun-filled running-free weekend! The sun didn't hang around for long and we have that awful wet stuff back! Tonight is the night that I usually go running with the Tri Club but with only 11 days to go until THE marathon I didn't want to risk running up and down hills like a mentalist or sprinting at full speed! I need to look after my little legs and be kind to them! So I have made the executive decision that I will do my own thing this week and next week where I can control what I actually put my body through! However, when I got home from work tonight it was a horrid drab dull wet afternoon and after getting wet taking the dog for a walk I really didn't have any enthusiasm for getting wet again running! 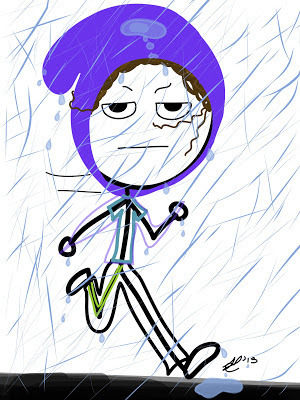 In hindsight I should have just got changed straight into my running gear after getting wet the first time but oh no ... I did the fatal thing of putting on my comfies! After a coffee and several Hobnobs I was beginning to feel suitably guilty but each time I glanced out the window the rain teaming down outside didn't do anything for my motivation! I gave myself a stern talking to and thought of what Haddie overcomes daily and made a bargain with myself! I said "OK if you don't want to get wet and cold that's fine, go on the treadmill instead!" This was enough to get me up the stairs - and out of my comfies into my green running top! I went into the treadmill room and horror went through me at the thought of being stuck on it for an hour! I knew that with my not-so-good relationship with the tready that I would run for perhaps 3K and give up through boredom and then be really disappointed with myself! 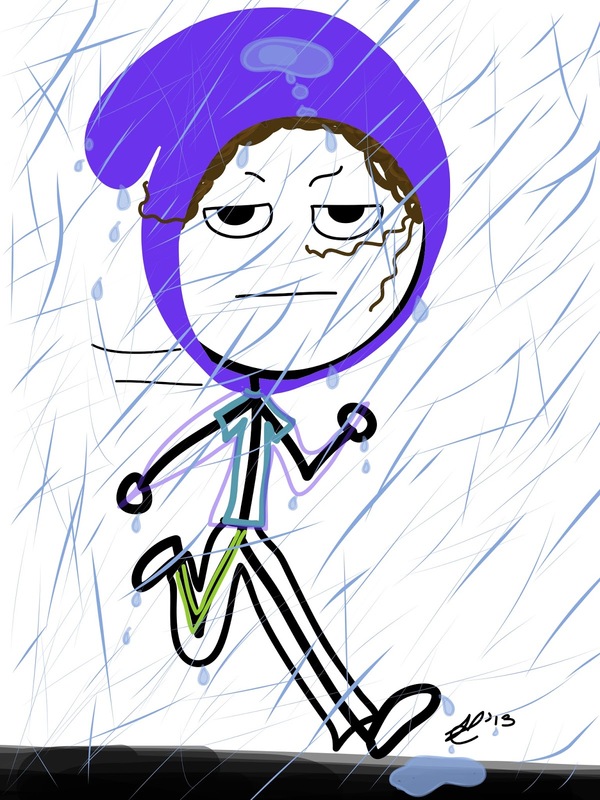 Without further ado I was donning my rain jacket and was out the door faster than you could say "get on the bloody treadmill!" Once I was wet and my body had become accustomed to it, life felt relatively good! Funnily enough after not wanting to go I thoroughly enjoyed the run and managed 6.14 miles at an average pace of 8:55 minute miles and my fastest mile was an 8:30 minute mile! Not too bad considering how I felt before I went out! I did it for Haddie and all those battling daily with CP! Paint The World Green for Cerebral Palsy Awareness! Did you know March is Cerebral Palsy Awareness Month? Why is Cerebral Palsy Awareness so important? - So others see the person before the disability. - To understand how Cerebral Palsy affects someone. Cerebral Palsy (CP) is a physical disability. It is a permanent life-long condition, but generally does not worsen over time. It is due to damage to the brain. Cerebral Palsy affects people in different ways. There are no two cases of Cerebral Palsy alike. Cerebral Palsy affects body movement, muscle control, muscle coordination, muscle tone, reflex, posture and balance. People who have cerebral palsy may also have issues with seeing, learning, hearing, speech, epilepsy and eating. There is no known cure for Cerebral Palsy. Today, March 25, 2014 people from all over the world are wearing a green ribbon or are wearing green to help spread more awareness and understanding of Cerebral Palsy. Haddie, my little running buddy has CP but shows such strength and determination to do things other people find easy! She inspires me to keep going when things get tough! Today I wore the green CP pin, band and bracelet Haddie sent me as well as wearing my green top when I went running this evening! Let's paint the world green for Cerebral Palsy Awareness! Its the start of the penultimate week of my marathon training and I'm going to have to squeeze all my runs into 4 days! I am going on a jolly to Edinburgh on Friday until Sunday so that's 3 days out of the running equation! 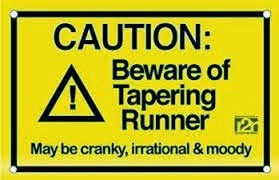 Luckily with tapering the miles aren't too serious! So tonight was another double whammy! First up was a run! Luckily it was a nice sunny evening albeit freezing cold and windy but much better running weather than the recent rain! The plan was to run 4 easy miles. I actually did 4.2 miles at an average 8:47 minute mile! My fastest mile was mile 2 which I ran @ an 8:38 minute mile which considering I was supposedly running easy is rather impressive for me! A couple hours later it was time to go to my usual Tri Club swimming session and yet again the focus was on endurance! After a warm-up we did 7 sets of 300m with 30 seconds rest in between each set! I felt fairly relaxed and comfortable swimming tonight and really enjoyed the session. In total I swam 2150 metres or 1.34 miles or 86 lengths! I did an average pace of 2.29 minutes per 100m. I'm slowly getting faster and one day I might just swim like a fish! 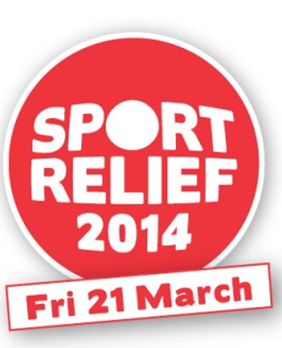 Today I had a really good run in The Sports Relief 6 mile run! Yesterday was a running rest day and today I was supposed to be running my 13 mile LSR for the week after failing to run the prescribed distance on Thursday! I went out last night with a friend and ate and drank far too much therefore when I got up this morning to torrential rain all thoughts of a run very quickly dispersed! After the awful run on Thursday I wasn't willing to go through it all again and I managed to convince myself that missing one 13 mile run wasn't going to make or break my marathon goal! By the middle of the afternoon it did eventually stop raining so we took this window of opportunity to take the dog for a walk. We managed 4 miles without getting wet, and when I got home I decided I did in fact need a running fix and very quickly got changed into my running gear before the heavens opened again! I decided against even attempting a 13 miler and decided to do just the 3 instead! In actual fact I did 3.75 miles at an average 8:51 mile pace. 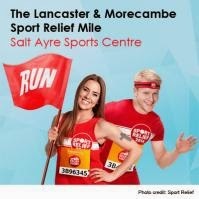 Tomorrow I am doing a 6 mile Sport Relief run at Lancaster! I have no idea where the route goes but it has the same start point as Trimpell 20 miler last weekend! I am just going to go and run for the fun of it and to enjoy the atmosphere of the occasion with no worrying about a finish time! Hopefully after the epic 20 miler it will feel like a stroll in the park! I've been a positive influence! Today at school we had a special theme day for Sport Relief and all the children and staff had to come dressed in sports wear! I am usually very quiet at work about my running activities as all my efforts are usually met with sarky comments such as "Not good for your knees" or "Bad for your bones" etc etc etc so rather than get all het up and annoyed trying to defend my hobby I find it easier not to share my achievement's. Anyhow today I was wearing my Chester Marathon shirt and this got everyone talking about running. As everyone seemed to be in a sporty frame of mind (wearing sports clothes must have had a positive effect on them!) I dared to suggest that we get a team together to run the Manchester Colour me Rad 5K run in June! Surprisingly this was met with a lot of enthusiasm and a few staff members asked if I would help them train by running with them after school. a) interested in running the 5K race. b) interesting in a group training session. Within 3 hours I had 16 names down for the run and 14 to join the "running club!" So our running club is going to start every Monday after school starting after the Easter Holidays - that gives me 8 weeks to get them from the couch up to 5K standard! Time to Google training plans! With only 16 days to go until the marathon, tonight was probably my worst run EVER! I had wanted to do my last long run before the marathon but failed miserably! It has been an awful day weather wise with torrential rain and wind for the majority of it! I waited as long as I thought possible before deciding just to go for it! At around 5.30pm the torrential rain turned to "just rain" and the wind seemed to have dropped a bit so off I set with my old trainers on (didn't want to get my new Asics wet!). All was well for the first mile or so and then the rain once again turned torrential, in actual fact I think it was sleet as it hurt that much when it bounced off my face! This lasted for about 3 miles and then it subsided once again but by now I was totally wet through even with many layers on, a supposedly waterproof jacket and gloves! By about mile 5 I was starting to feel really cold and my fingers were stinging! The wind blowing through my wet clothes was pure torture. I made the decision that I wasn't going to fulfil the 13 miles I had set out to do and made my way miserably home. Once home I was surprised to see I had actually managed to run 8 miles although it was much slower than marathon pace at 9.35 minute mile. As the warm air greeted me I was nearly crying as I was in so much pain from the cold! My hands and fingers were in agony and I struggled to actually get them to do anything - even getting undressed to get a hot shower was a challenge! They didn't seem to be responding to any of the messages my brain was desperately sending them! 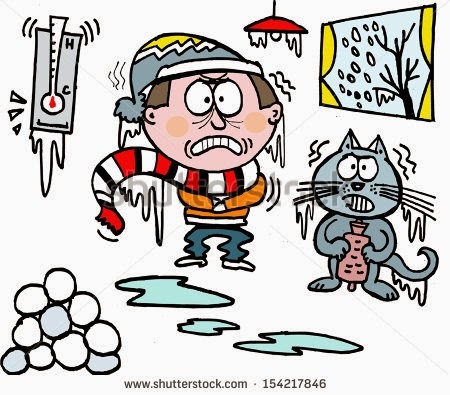 I stood shivering as I tried to peel off my soggy clothes feeling very sorry for myself! I think this must go down as my worst run in this marathon training period! However on a more positive note tonight's run took me over the 400 mile mark for Haddie so it was worth the pain! I am sure someone somewhere was having a laugh! It was just yesterday that I was saying that I had much preferred training over the Winter for this Spring marathon compared to when I trained over the Summer for the Autumn marathon! I am quickly swallowing those sentiments tonight! I can honestly say I hated every minute! I am going to have tomorrow as a rest day to try and erase the horrific memories and try again on Saturday! Fingers crossed the rain stays away! Tonight I managed a double fitness session. A run swiftly followed by Yoga! The plan said a 4 mile "easy" run. I couldn't believe it when i went to put my Garmin on and the screen was blank! No amount of prodding and poking of all variations of buttons would reset it so I was forced to run "naked". Well to be honest I went semi naked! I had Runkeeper on my i-phone so I would have a record of the distance and pace I ran but I didn't wear headphones so whilst running I was oblivious to how fast or far I was running! After running for the past few years I am very aware of the approximate distances of certain routes so I knew I would do the correct distance or thereabouts it was just the pace I was blind to. I set off and was amazed at how windy it had become! 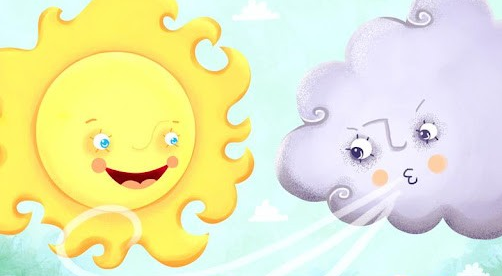 I am sure the wind waits for me to step out the door to go for a run before deciding to build itself into a frenzy! During the run I must admit to looking at my blank wrist expecting to see my Garmin - over and over again! It certainly wasn't clicking with my brain that it wasn't there today! Definitely learned behaviour! However, it was nice to run at the pace my body dictated without trying to speed up or slow down accordingly! I battled on against the wind and felt a frisson of excitement when I got home and I got my I-phone out my back pocket! What pace had I run? The distance was a good estimate as I had managed 4.53 miles but I was amazed that what I thought was an easy run made hard due to the strong wind was actually a fairly swift run (for me) at an average 8.55 minute mile pace and that included going up a big hill too! Perhaps going naked is the way forward! After a quick shower and a short rest it was time to go to Yoga! With running 20 miles on Sunday, swimming Monday, running 5 miles last night and 4 tonight my legs were feeling fairly stiff so it felt amazing to stretch them in some of the Yoga poses! Unfortunately I got a really irritating tickly cough right in the middle of the relaxation session so I didn't relax as much as I would have liked and I dare say nobody else did either! Whoops! I am pleased to report after a bit more fiddling I managed to reset my Garmin and it is working again - for now! I can't even begin to entertain running a marathon naked!! !